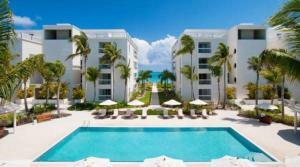 ﻿ Best Price on The Venetian on Grace Bay in Providenciales + Reviews! 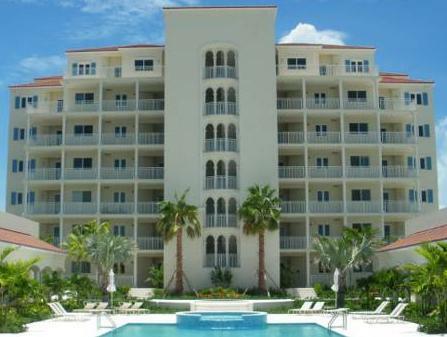 With an amazing beachfront setting on Grace Bay, The Venetian on Grace Bay features luxurious accommodations, an outdoor swimming pool and a spa. On landscaped grounds, this beautiful resort also includes a range of sports facilities. 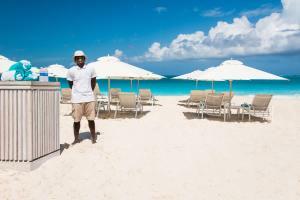 Each spacious suite at The Venetian on Grace Bay has terrace and ocean views. All suites have attractive, white décor and dark wood furnishings. There is also a kitchen, which can be stocked upon arrival, upon request. Guests can enjoy Caribbean and international cuisine, including tapas dishes, in the Venetian’s restaurant. A private chef is also available. A grocery store can be found a 5-minute walk away. The spa offers treatments including massage, facials, manicures and pedicures. 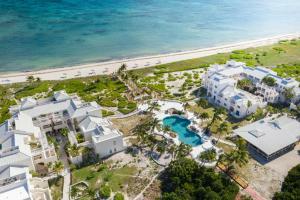 The resort is within a 5-minute walk of Neptune Bay. The Hole is just over 1 mile away.